In these comparisons I used the same selection of music as in my sound analysis, driving IEMs from LPGT, also volume matched for consistency. Grace vs Earsonics SEM9 – While the soundstage depth has a lot of similarity where the sound presentation is being more out of your head, soundstage width is different with Grace being noticeably wider, thus creating a more holographic staging expansion. There is also difference in sound sig where SEM9 is more balanced while Grace bass, from sub-bass to mid-bass is more elevated, pushing it closer to L-shaped sig. Mids are very similar in tonality, presentation, and retrieval of details, just with SEM9 lower mids being a little thicker in body while Grace being a touch leaner, giving mids a little more tonal transparency. Treble is very similar, just a little more sparkle in Grace, giving it a little higher resolution with a more noticeable peaks around 6.5k and 12k. In comparison, SEM9 treble is a touch smoother. Overall, with an exception of a wider soundstage and more bass impact in Grace, the rest is comparable. 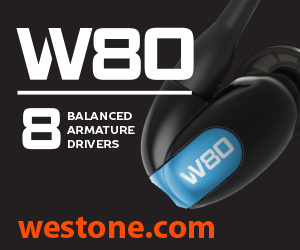 Grace vs Westone W80 – These have a very similar soundstage expansion, in both soundstage width and depth. W80 signature is more balanced since the bass has less impact, while Grace bass hits harder. Mids are also very similar, natural, organic, good retrieval of details, just with W80 mids being a little bit leaner and a touch more forward, while Grace has a little more body. With treble, there are also a lot of similarities, just W80 being a touch smoother while Grace has a little more sparkle. Overall, I found these to have a lot of similarities with the only exception of low end impact, though even their bass has a similar quality, just a difference in quantity. Grace vs Sennheiser IE800s – The depth extension of soundstage is similar here, more out of your head, but Grace has an upper hand in soundstage width, not by a lot, but it’s wider. Signature varies here as well, with IE being mildly V-shaped where mids are pulled slightly back and treble is crisper, vs Grace having a more balanced mids/treble with an elevated low end. So, bass hits harder in Grace (both sub-/mid-bass is more elevated), while IE mids are not as forward and leaner in body, even brighter in tonality. Grace mids have more body and sounds more organic in comparison. With treble, IE has a lot more energy, being a little more aggressive, brighter, crisper, more extended, while in comparison Grace treble is tamer with more control. Grace vs 64 Audio Trio – Very similar holographic soundstage expansion in both width and depth, including a similar wide presentation of vocals. While Grace is on a borderline of L-shaped and W-shaped sound signature, Trio is a good example of W-shaped sig. Trio has elevated bass as well but not to the same level as Grace, a little lower. Grace lower mids are thicker with a fuller body, while Trio lower mids are leaner in comparison. Upper mids are smoother and more organic in Grace while Trio is more revealing, more transparent. Both have a similar level of controlled treble sparkle, but Trio treble extends further with more airiness. Grace vs 64 Audio U12t – The soundstage here is similar as well, especially when it comes to width, maybe with a touch less depth in U12t (bringing it closer to you). The signature of U12t is more balanced, even a touch mid-forward, different from Grace where bass is more dominant. Thus, you can expect a higher quantity bass with a bigger and deeper slam in Grace. U12t mids are brighter and with a more forward presentation while Grace is more organic and smoother in comparison. Treble has a similar controlled sparkle, but due to brighter upper mids in U12t, its treble is a little more aggressive in comparison to Grace which sounds a little more natural. Grace vs Campfire Audio Solaris – Soundstage expansion is similar, though due to a brighter and more transparent mids, I hear Solaris having a little wider perception of stage. Grace has a touch more bass impact with a deeper sub-bass rumble, while Solaris bass is lifted as well but faster and more layered. Lower mids are leaner in Solaris, while Grace has more body. With upper mids, Solaris is brighter, more revealing, while Grace is smoother, more natural. Treble sparkle is similar, but Solaris has more airiness and better extension, while Grace treble is more controlled and smoother. In each pair up I was using stock OFC 3.5mm cable. Grace is easy to drive, and I haven’t experienced any hissing even though these 26.6 ohm IEMs have a higher than average sensitivity of 119dB. While switching between DAPs, I didn’t notice a drastic change in tonality, but I did feel the signature of Grace was affected due to variation in bass quantity. Lotoo PAW Gold Touch – wide holographic soundstage; signature is closer to L-shaped with a nice deep low end impact, smooth natural mids, well defined treble with a nice controlled sparkle. A&K SP1000 SS – wide holographic soundstage; serious bass slam, pushing signature even closer to L-shaped, natural smooth mids, sparkly well defined treble. Bass really slams hard in this pair up. Sony WM1Z – wide holographic soundstage; signature is more W-shaped, bass still goes deep and hits very hard, but it’s more balanced with mids that come a little more forward and sound very smooth and natural, and treble which has a nice well defined sparkle. 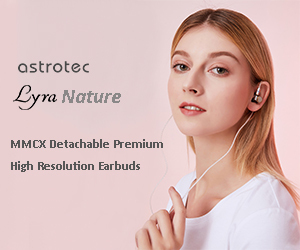 Shanling M5s – wide holographic soundstage; signature is more W-shaped, with bass extending low, hitting hard, mids being natural, smooth, organic, and a little more forward, and treble having extra sparkle in lower treble. Shanling M0 – wide soundstage expansion; signature is nicely balanced, close to W-shaped; bass has a nice extension with a deep rumble and nice punch, mids are smooth, natural, a little more revealing, and treble is crisp and well defined and controlled. Surprisingly very good pair up. Hiby R6/R6 Pro – wide holographic soundstage; signature is more W-shaped, deep low end extension with a nice rumble and faster mid-bass, smooth natural mids, crisp well defined treble with extra sparkle. With original R6 the sound is nearly the same with and without iEMatch. Just a touch less bass impact with iEMatch where bass being a little more relaxed. Cayin N5iiS – wide soundstage expansion; signature is between L-shaped and W-shaped, here the bass hits a little harder and sounds faster, mids are natural and a little more revealing, treble is crisp and still well controlled. Treble has more airiness. Samsung Galaxy S9 – wide soundstage expansion; W-shaped signature with a deep low end rumble, nice mid-bass punch, smooth organic mids, crisp well controlled treble. Overall sound is more on a smoother side. 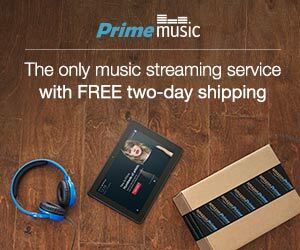 As promised, the musicality theme was common in this review. Grace wasn’t tuned for analytical listening or those who prefer a revealing layered sound. 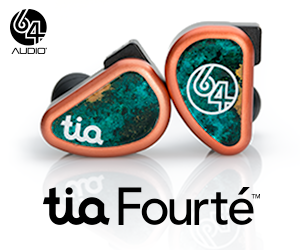 It was tuned for musicians and audio enthusiasts who are lusting after a more natural smoother tonality, want holographic soundstage expansion, and prefer extra punch in the low end. Based on my experience with S-EM9, it looks to me like Grace represents the refined tuning of Earsonics house sound. 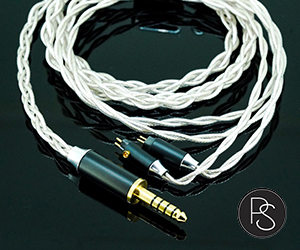 But this latest Earsonics release also gives you a chance to tweak the signature depending on pair up, even though there is a crossover corrector which takes the variable of your DAP’s output impedance out of the equation. That worked out quite well while keeping tonality relatively the same at different volume levels or regardless of the source impedance. But at the same time, different sources affected the quantity of the bass which had an impact on the signature. It does makes me wonder if Grace is universal version of EM10, though I don’t want to make this assumption since I haven’t compared both. 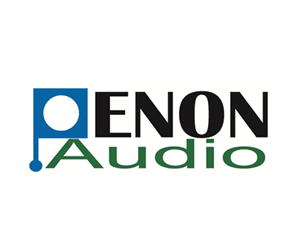 But either way, this latest Earsonics flagship will make a good addition to any collection of a seasoned audiophile or just an audio enthusiast who enjoys this particular sound tuning.